The tour starts at the Rachel Pringle Bar on Brighton for a short video and then on to the old brew house. The huge copper kettles are examined close up, peering deep inside the vessels which for 32 years were integral to the manufacturing process. Banks is a pilsner type lager, with its own unique character specially brewed to satisfy. The blend of Australian and british malts creates its fine taste. The Barbados water, naturally filtered through limestone rock is the second most important ingredient. Now the vessels are stainless steel. Each vessel holds 14,000 litres of brew. The production begins each morning at 5 a.m. Brewing starts with the mashing of malt with water at a controlled temperature in the Mash Turn. The temperature of the mash is then raised to 69 degrees Celsius at which point the naturally occurring enzymes in the malt converts the barley starches to fermentable sugars. Upon completion of this process it is necessary to remove the insoluble particles or "spent grain" from the mixture. This is done in the Lauter Turn which acts as a large sieve. The spent grain that is left behind is sold to farmers as animal feed. The filtrate from the Lauter Turn is known as wort. The wort is transferred to the kettle where it is boiled and sugar and hops are added. At the end of the boil, the hopped wort is rapidly cooled at 12 degrees Celsius at which point the yeast is added at the fermenters. The production of beer through fermentation lasts approximately ten days. The yeast is then removed and the beer is stored or "lagered" for conditioning. Lagering lasts for approximately eleven days at which time the lager is filtered cold into the bright beer tanks ready for bottling. The bottled beer is pasteurized for forty minutes during which time the bottles are heated to sixty degrees Celsius, stabilizing the content for storage at room temperature. The Brewery has a state-of-the-art laboratory. The level of quality control is critical to maintaining the high standard of Banks Beer and all Banks products. 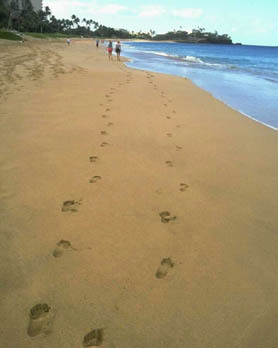 One can't spend every day - all day at the beach, sunning and surfing. 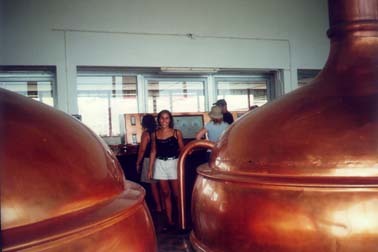 The Brewery Tour is one of the favorite must see excursions. Studying the development of the island's industry and sampling of the product makes for a very enjoyable experience.